Two penalty corner goals within 2 minutes in the opening quarter gave Spain the ideal start in the second match of the series against Ireland. Clara Ycart sent a drag flick low into the corner in the 9th minute and Alejandra Torres-Quevedo doubled the lead in the 11th minute with a tap in at the back post. The Irish defence absorbed a lot of Spanish pressure in the opening quarter but settled into the game as the half progressed. Hannah Matthews and Anna O’Flanagan linked up smartly to earn a short corner; Matthews then sent the sweep goalward for O’Flanagan to deflect past Maria Ruiz. Katie Mullan drew her side level with an unconventional goal in the 34th minute. Sarah Hawkshaw blazed down the wing to send a high cross into the circle which Mullan batted down mid air to draw the initial save before slamming the rebound into the backboard on the volley. Both goalies were called on to make some strong saves as the end to end action continued at a frantic pace. Matthews gave the Green Army the lead from a powerful penalty corner sweep that caught the post player unawares and left Marina Helguera with no chance. Spain upped the pressure once more and Emma Buckley had to make some smart saves while Yvonne O’Byrne was on hand to poach more than a few Spanish attackers. But the hosts eventually broke through in the final minute of the fixture with a penalty corner sweep that was deflected in by Maria Lopez. Ireland women conceded a last-minute equaliser as they drew 3-3 with hosts Spain in the fourth match of their three-nations series in Alicante. The visitors went 2-0 down early in the match but goals from Anna O'Flanagan and Katie Mullan in the second and third quarters brought them level. Hannah Matthews looked to have won it for Graeme Shaw's side until the Spanish equalised 42 seconds from time. The World Cup runners-up have now drawn two and lost two matches in the series. They opened with a 1-1 draw with India on Friday before losing to the same opposition two days later. 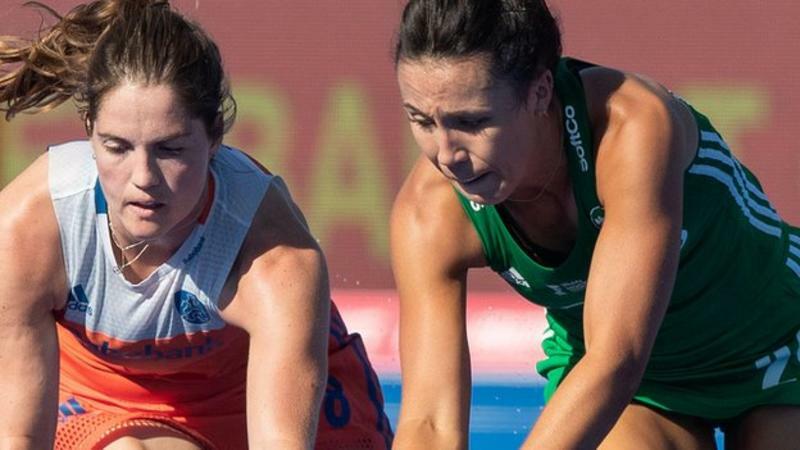 Wednesday's draw with Spain followed Monday's 2-1 defeat to the hosts in Granada, with the Irish team's final match of the series to be played against Spain on Thursday. Great Britain men’s and women’s teams have departed for the other side of the world as they ‘follow the sun’ and prepare for their FIH Pro League encounters with New Zealand. For the Great Britain women’s team (FIH Hero World Ranking: 2), this is their opening FIH Pro League match. For Great Britain men (WR:7), they travel to Christchurch on the back of an incredible 6-5 victory over Spain (WR:9). We caught up with women’s captain Hollie Pearne-Webb and men’s Head Coach, Danny Kerry. Now ranked sixth in the world and hurting after home defeats at the hands of the Netherlands (WR:1) Belgium (WR: 13), New Zealand will be out to get their first Pro League points on the board. 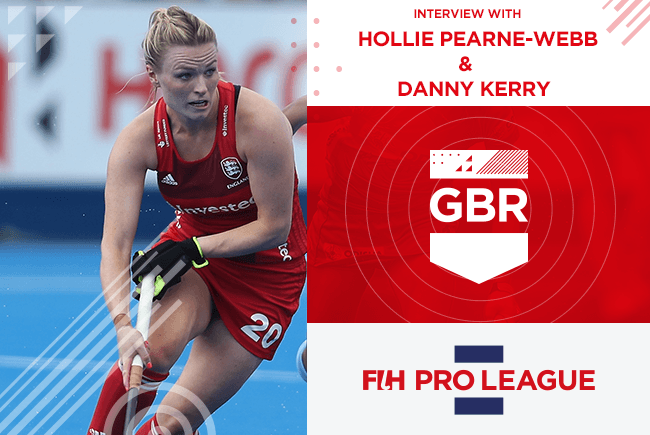 Adjusting quickly to the demands of the FIH Pro League was something Great Britain men had to do very quickly in their opening match against Spain. They were 4-1 down at the end of the first quarter but put on an amazing comeback to win 6-5. Starting slowly is not something Danny Kerry is likely to allow his team to do again. “We knew Spain were a very good team and only a set of circumstances had knocked them out of the World Cup early, which belied how good they really are. Hockey Australia today confirms the 18-member Kookaburras team for this weekend’s FIH Pro League match against Germany at Hobart’s Tasmanian Hockey Centre. “We’ve had two games under our belt now and even though we’ve changed the team around we expect our performance will be better in Hobart,” Batch said.. The Kookaburras will not play an official match on Saturday, but will partake in a 2x15-minute exhibition match from 3pm AEDT, followed by a clinic and fan engagement with autograph signings. KUALA LUMPUR: National defender Syed Mohd Syafiq Syed Cholan (pic) will not feature in the Malaysia Hockey League (MHL) anymore. The 24-year-old Tenaga Nasional penalty corner drag flicker has aggravated his left wrist injury in the league last week and is set to take a long time to recover from his injury. Syed Mohd Syafiq said he injured his wrist in the opening match against Holland in the World Cup in Bhubaneswar, India, last December. “And last week, I aggravated it in the MHL, I’ve been feeling pain on and off during the league and I decided to look into it,” said Syed Mohd Syafiq. “During my medical checkup, I was told by my doctor to rest for two weeks as I’ve a hairline fracture on my wrist. “I don’t know whether I will be able to recover in the next few weeks as the league will be over by March 2,” he added. He had hoped to play for Tenaga as he felt they had a good chance of winning the league title this year. “We are only a point adrift of leaders Universiti Kuala Lumpur (UniKL), who have 19 points from seven matches. If we beat them this weekend then we have a bright chance of winning our second title,” said Syed Mohd Syafiq. Tenaga, who won the Tan Sri. P. Alagendra Cup last month, face UniKL on Sunday at the Tun Razak Stadium in Jalan Duta. In the first-round match, UniKL came back from a goal down to beat Tenaga 3-1 at home in Bangi. Tenaga coach Nor Saiful Zaini said it was sad that they would not have the services of the hard-working defender Syed Mohd Syafiq. He will be replaced by Muhd Arif Syafie Ishak. “I’ve advised him to focus on full recovery as he is needed by the national team for international tournaments,” said Nor Saiful. “I’ve faith in Arif and I’m optimistic that the youngster will be able to ply well as a defender. “After playing seven matches, my forwards are still missing chances. They need to buck up in the last five matches if we hope to win the league title,” added Nor Saiful. KUALA LUMPUR: Malaysia are one of the four countries vying to host the next men’s World Cup. Former world champions India and Germany along with Spain have also submitted their bids. The International Hockey Federation (FIH) offered two windows — July 1-17 2022 and Jan 13-29 2023 — to countries keen on bidding for the World Cup. Malaysia submitted their bid last month for the 2022 window. Malaysian Hockey Confederation (MHC) had also submitted a bid for the Women’s World Cup but were not shortlisted. “The National Hockey Stadium in Bukit Jalil will be the venue if we win the bid to host the World Cup. “We must now submit the paperwork pertaining requirements to FIH. “The world body were very impressed with the way MHC hosted the last few international tournaments, so I believe we have a solid chance,” said MHC president Datuk Seri Subahan Kamal yesterday. Malaysia last hosted the Men's World Cup in 2002 where they finished eighth. The team’s best performance in the tournament was fourth placing at the 1975 Kuala Lumpur edition. LANCASTER, Pa. – Following review of all applications, USA Field Hockey’s women’s Junior High Performance (JHP) staff is pleased to appoint a well-balanced volunteer staff for the U.S. U-17 and U-21 Women’s National Team program for 2019. In April, both squads will travel to Germany for respective tours. The U-17 USWNT will head to Cologne to play Germany’s U-16 Team and Belgium’s U-16 Team. The U-21 USWNT will travel to Monchengladbach to take on Germany’s U-21 Team and Great Britain’s U-21 Team. Both teams will take part in three additional training camps over the next several weeks to prepare for their international trips. A two-time Olympian and former member of the U.S. Women’s National Team, Bam, who was previously the assistant coach, will become the head coach of the U-17 USWNT. Following her playing career at the University of Maryland, she got her first experience coaching as a student assistant coach in 2012. While continuing to play at an elite level with Team USA, Bam started coaching more by instructing and hosting camps and clinics. In 2015, she joined the Millersville University staff as a volunteer assistant coach and a year later she joined the staff at Harvard University. In January 2017, University of Maryland’s Head Coach Missy Meharg announced that Bam would be returning to her alma mater to serve as the assistant coach. For two years in a row now, the Maryland coaching staff has been named the NFHCA Mid-Atlantic Region Staff of the Year. At the beginning of January, Bam was promoted to associate head coach. Egner will remain in the same position he held last year as the U-17 USWNT Assistant Coach. He begins his fifth year at William & Mary, and second as associate head coach after earning the promotion in February 2018. On the field, Egner coordinates the Tribe defense, while also helping with all administrative and recruiting duties for W&M's nationally-recognized program. Before W&M, Egner was an assistant coach for two years at Longwood University. Prior to coming across the pond to coach in the United States, he spent four years as a coach in his native Ireland. He was an assistant coach and video coordinator with the Irish Hockey Association's U-18 and Senior National teams in 2012, before becoming the head coach at the Fermoy Hockey Club. Egner also served as head and assistant coach of the U-18 women's program for the Munster Hockey Association in Munster, Ireland, selecting and training 18-20 athletes each year for the national team selection tournament. Egner is heavily involved with USA Field Hockey’s Coach Education Program and has been a coach educator at a number of Level 1 and 2 Instructional Coaching Clinics and workshops. He has also served as a USA Field Hockey Futures coach, site director and selector. In addition, Egner attended the first-ever FIH Level 2 course in 2017. A native of Scotland, Law joined Syracuse University’s staff as a highly-accomplished player and coach. For the past six seasons, he has helped elevate the Orange’s program to historic levels of success, highlighted by the team’s first-ever NCAA National Title in 2015. Law is responsible for video analysis and technical development of the student-athletes and has helped develop some of the nation's most talented players and has helped both current student-athletes and alums reach the international level. Law, Scotland’s Men’s Coach of the Year in 2009, served as the head coach of the Scotland U-16 Boy’s National Team (2011-13) and Head of Hockey for the St. Andrew’s University Hockey Club (2012-13), while performing the role of senior hockey coach and coach education coordinator at Glenalmond College, working with boys and girls from U-14 to U-18 levels. Besides his many accomplishments coaching the sport, Law has had a success career as a player, playing for the St. Andrew’s Hockey Club since 2012. He has previously played for the Clydesdale Hockey Club (2011-12), Dundee Wanderers Hockey Club (1996-2011) and Teddington Hockey Club First Team (2002-03). At the national level, Law played on Scotland’s U-16 team (1996-98), U-18 squad (1999-00) and the Scottish Senior National Team for both in indoor and outdoor from 2002-10. He played in the Great Britain Super League in 2009. Previously the assistant coach, Martin will now serve as the U-21 USWNT Head Coach. He is no stranger to the Junior High Performance program, having served as the 2018 U-17 USWNT Head Coach. He has been involved with the USA Field Hockey program for more than a decade as a player and coach. Martin was a member of the U.S. Men’s National Team for 12 years, retiring in 2012, with more than 100 international caps. He has been involved coaching the South High-Performance Training Center for eight years and is a USA Field Hockey Level 3 Certified Coach. Martin is the head coach of Ohio State University’s field hockey team, where he took on the role in December 2016. He spent ten seasons at Duke University (2007-16) as the assistant and associate head coach. Martin helped guide the Blue Devils to seven NCAA Tournament appearances and Final Four berths in 2013 and 2015. Before that, he served as the assistant coach at Skidmore College (2001-07), where he led the Thoroughbreds to three Liberty League titles and two runner-up finishes as well as five NCAA Tournament appearances. Paul, a native of New Zealand, enters her 19th year as a member of the Boston University coaching staff, serving as their assistant coach, and the associate head coach from 2006-13. In one capacity or another, Paul has been involved within the USA Field Hockey pipeline. In 2017 and 2018 she coached at the Young Women’s National Championship and also served as head coach of the New England Junior High Performance squad. She was an assistant coach from 2015-16 U.S. U-19 Women’s National Team and an assistant for the New England U-16 Team that competed at the 2016 National Futures Championship. Since the summer of 2017, Loncarica has been the assistant coach for William & Mary., and has helped reach new heights for the program including their first-ever conference championship. Loncarica is primarily responsible for coaching the Tribe attackers, as well as helping with all on- and off-field aspects of running the Tribe's nationally-recognized program. Before coaching with the Tribe, Loncarica, spent two years in Philadelphia coaching at both the youth and collegiate levels while also pursuing her second master’s degree. She spent the 2015 and 2016 seasons as a volunteer assistant at St. Joseph's University, working with all the athletes but especially the midfielders, and also serving as the team nutritionist. Beyond St. Joe's, Loncarica also founded and coached at a number of youth field hockey clinics, partnering with a local secondary school to develop and promote field hockey as an activity option for children in the Philadelphia Area. Loncarica attended Syracuse University, first as a standout athlete and then as the team’s Director of Operations and nutritionist for the 2013 and 2014 seasons. During her undergraduate career, Loncarica was a three-time All-American, and helped the Big Orange to three Big East tournament titles and four NCAA Tournament Appearances, including the 2008 Final Four. She graduated as top scorer in school history with 139 points (37g, 65a) and still ranks second all-time, and still holds the all-time record with 65 career assists. Castello d'Agogna(PV) where they met CUS Padova in the semi finals winning 7 -5 and drawing 6-6 with Genoa 1980 on Saturday 2 February, and then beating HC Bondeno 8-4 the following morning. Sunday 3 February in the match for the 3rd-4th place Genoa 1980 takes third place on the podium with a 5-2 against HC Bondeno, classified fourth. With great enthusiasm and desire to play and give the best for both teams for the highly-anticipated Final for the 1st-2nd place between HC Bra 2017 and CUS Padova, it ended 3-0 for Bra confirming the great and long tradition of successes of Hockey Bra in the national scenario (Bra is currently and has been Italian league champion on very many occasions and the u16 team are currently also reigning champions) . Thanks go to a very young (18 year old) Coach and Italian Cap Alessandro Giraudo, always present and very attentive to the preparation and needs of all the young protagonists. The Team: veterans and experts Simone Petito (2 goals in final) (midfielder, tournament top scorer and also awarded as Best 2018-2019 Indoor scorer), Lorenzo Racca and Damiano Fini ( Defenders), Emiliano Perugino, Jaskirat Singh and Federico Sinatra (forwards), Samuele Staltari (Goalkeeper) and the youngest player (aged 10) Nicholas Calò (one goal in final) (Semi forward).